There are quite a few good business books on technology, and I'll list below some I find to be a good starting point. Personally, I like biographies a lot and I mostly read biographies of dead people, because those are the most honest ones. So because the computer age is still very young, there won't be a lot of biographies in my list. The Snowball – Alice Schroeder. If you want to become an entrepreneur and succeed in a competitive environment, then there are some evergreen books as well, for example: Steve Jobs by Walter Isaacson. For Chesky, a source may come in the form of a biography of a business hero such as Steve Jobs or Walt Disney. His primary book source on management technique is Andy Grove’s High Output Management. Not sure if this counts as a business book, but Steve Jobs by Walter Isaacson is a great book. It really lets you get a glimpse into the mind of one of the most successful creators/entrepreneurs in recent history. Instead of the mundane "Marketing Tricks and Tips" kind of books, I enjoy personal stories of entrepreneurs and learning about their approach to life and business. One in particular that stands out (rather predictably) is the story of Steve Jobs and Elon Musk. Their autobiographies are fantastic reads and if you haven't read them - go and do it now! I love learning about their personalities and attitude to life - that is massively motivating for me in business. I believe that younger generations should focus on what they are passionate about. We are seeing a trend in tech where working remote, using your personal brand to grow your products, and funding through blockchain technology is the new way of creating startups. So I would read up on The Lean Startup, anything by Gary Vee, Artificial Intelligence, and biography/philosophy of Elon Musk, Warren Buffett, and Steve Jobs. Also not a programming book, but inspiring if you are starting your own thing. 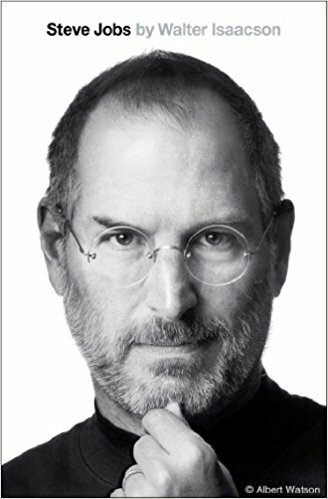 Favorite non-business book: Steve Jobs by Walter Isaacson - if that counts as non-business. Many books on the most successful people in business are very compelling. I recently read “Steve Jobs: An Autobiography” by Walter Isaacson followed by “Elon Musk: Tesla, SpaceX, and the Quest for a Fantastic Future” By Ashlee Vance. The parallels of the success of the unique individuals as well as their personalities was very interesting. I am quite sure, however, that their definition of “success” resembled something I would not wish to hold. I was also very sure that while they may both be considered some of the greatest minds in our history, they both struggled deeply with inner happiness and contentment. Probably all these autobiographies about great entrepreneurs like Elon Musk and Steve Jobs. They showed me the possibilities of entrepreneurship if you just have patience and ambition. And still right now…these books produce so many feelings of euphoria so that I just can't stop creating new stuff. I love really detailed biographies, the thick ones, like the Arnold Schwarzenegger one and also Steve Jobs, the one done a few years ago was nice and solid really goes into the details, I love those. They’ve always been really impactful, whether it’s an entrepreneur or an athlete or a well-known celebrity or expert or historical figure, those biographies have had a big impact on me as well and just enjoyable to listen to. I love to read biographies and stories of companies. Hatching Twitter is a really good book, and if you’re into that sort of books, bios of Steve Jobs (by Isaacson) or Jeff Bezos are great too. One of the must read books.